Laminates Sheer is weightless, sensual luminescence for smoothness and soft styles. 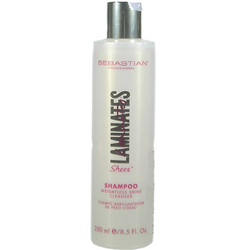 Infused with the brilliance of Lamnates Shine Innovation Complex. 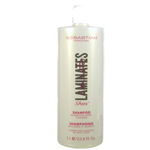 Laminates Sheer Shampoo gently cleanses tresses for a crystal clean feel with beautiful shine. Color safe. pH balanced. For all hair types. Lather, rinse, repeat. For daily use. 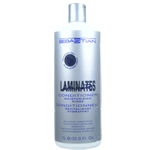 Follow with Laminates Sheer Conditioner.